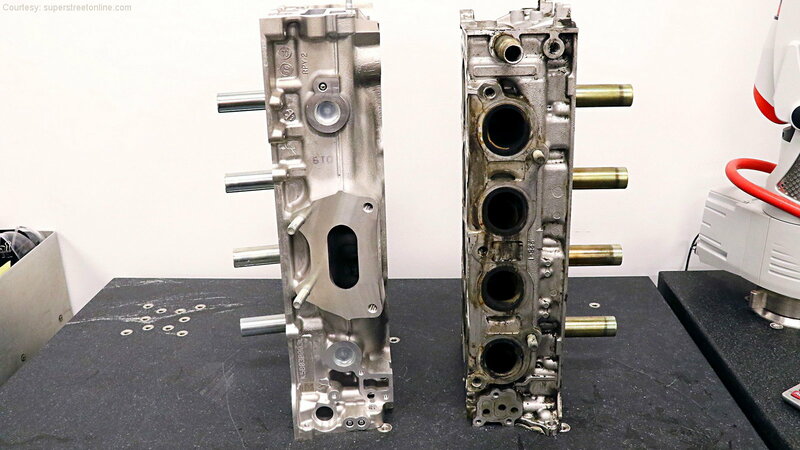 We take a look at the differences between Honda's K20A and new K20C1 cylinder heads and report what 4 Piston Racing says this means for tuners. The King is dead, long live the king. No disrespect to the tremendous achievements offered by the K20/22C, but there's no denying the success of Honda's K series engine platform. Long a favorite of the tuner community, the K series reaps copious rewards for low dollars in a lightweight package, so the replacement of the K20A with the new K20C series signals a seismic shift. The lack of valvetrain or manifold commonalities between the new engine and the outgoing platform spells a steep learning curve for tuners and hobbyists alike. 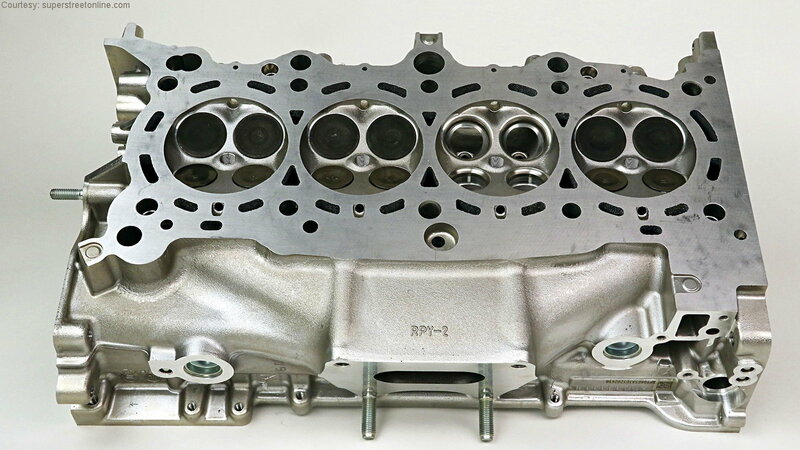 Let's take a look at the key changes found on the Civic Type R's K20C1 cylinder head, and see what performance specialist Luke Wilson of 4 Piston Racing had to say about them in a recent discussion with Super Street magazine. >>Join the conversation on the Turbo K20C1 Head right here in S2ki Forum! The big surprise is that the K20C1 intake ports flow much less air than the K20A series. While a 20-year-old K20 port flows 300cfm, a K20C1 port flows only 158cfm. That's down to the needs dictated by the switch to direct injection from port injection, says Wilson: "The port pinches down really small and has a sharp ledge right before the valve seat that just kills flow. It's there to tumble the air into the cylinder, which you see on any kind of modern DI (direct injection) motor. Ford's EcoBoost—same thing. So what's a tuner to do with so much less moving air? "When you knock the ledge out of the port, it doubles the flow of the head," according to Wilson. "We barely touch the port and all the sudden it's a 300cfm head, without changing the valve size. The trick is turning that into horsepower. With direct injection, you need that tumble in the air to get a good fuel burn and the fuel timing is so critical." What this means is that while you can up the flow easily, that may not be the best choice for the new head. "Porting is going to be interesting because I don't think we're going to gain much for the average street guy," said Wilson, continuing: "Part of what makes [the Type R] fun is it's in full swing at 2,500rpm. The turbo comes on really early. Porting could kill some of that responsiveness." Direct injection offers a whole host of improvement, from precisely controlled fuel delivery patterns to a tolerance for higher compression, to improved fuel economy—all good things for the street. 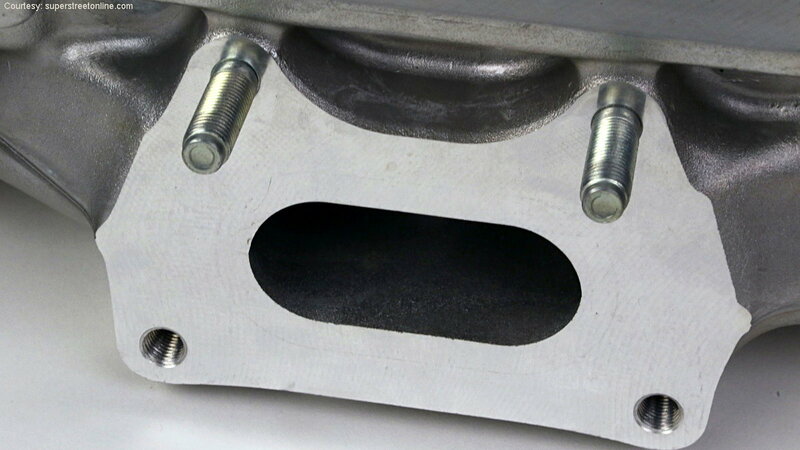 But tried and true port injection has things going for it too, things that tuners like such as intake charge cooling and homogeneity, lack of carbon scale on the port side of intake valves, and since it's such an established system, its affordability. Direct injection, on the other hand, can get pricey. "We're limited on fuel systems with the direct injection stuff," Wilson said, adding that a high-volume Direct injection fuel pump runs in the $4,000 range. The answer seems to be the route taken by GM's new Corvette engine: use both systems. As Wilson puts it: "You've got a window you can spray the fuel and light it and it's pretty small. For really high horsepower stuff, we're going to add port injection." 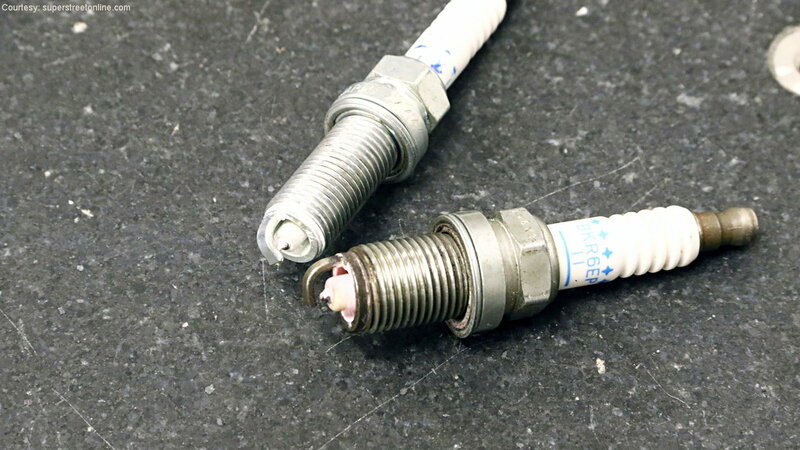 The direct injector needs to be either utilized or blanked off completely—a switch to port injection that leaves the direct injector idle would result in it acting like a glow plug and pre-igniting the mixture. 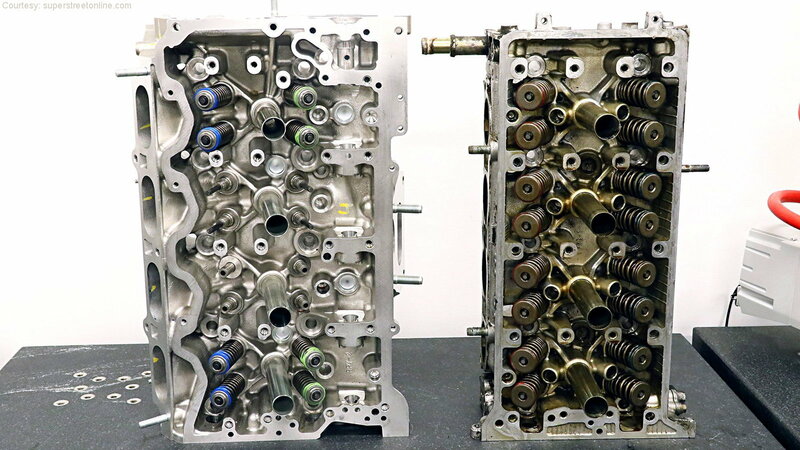 Everything is new when it comes to the K20C1's valves and combustion chambers. 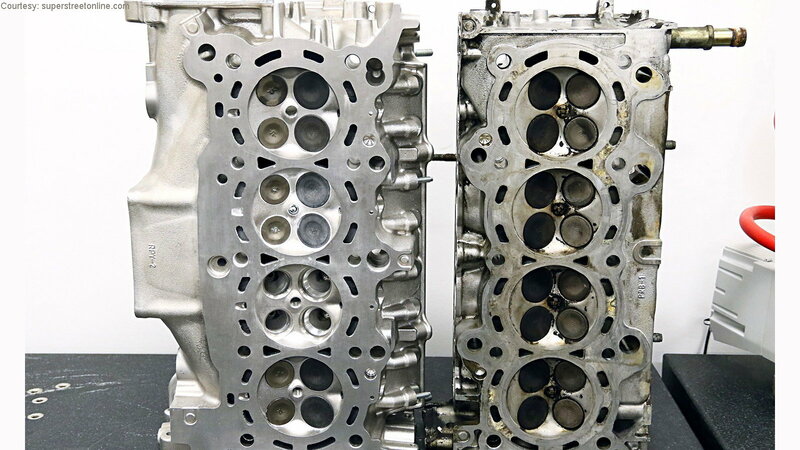 Compared to the outgoing K20A, the K20C1's chambers are both flatter and shallower, with different valve angles. 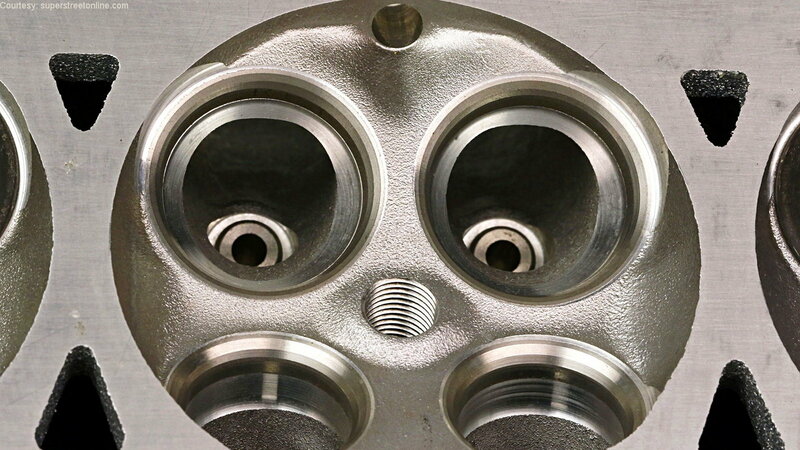 The new engine uses smaller thread diameter spark plugs, yielding more meat between the valve seats, and the valve springs have been changed from a dual setup to single beehive-shaped units actuated by aluminum roller rockers. Perhaps the biggest surprise is the disappearance of Honda trademark VTEC on the intake side, a move brought about by the new turbo's low-end boost. The K20C1's turbo provides an impressive 295 lb-ft of torque by 2,500rpm. More material between the valves means a stronger chamber with improved heat dissipation and is sure to tempt tuners to install larger valves. It looks like those beehive valve springs will be the first thing to go in performance applications though. According to Wilson: " The valvetrain starts to float at about 7,300rpm. It's really light on valve spring pressure. Putting some valve spring pressure in it was one of the first things we did to turn more RPM." As for the loss of VTEC, Wilson misses it: "There is no VTEC on the intake cam, and I wish there was. If it had it, we could put more cam in it and turn it harder." The new platform's power delivery characteristics might take some getting used to. As Wilson says: "We're used to a Honda having no power until 5,000rpm where it comes on and pulls up to redline, whereas [the K20C1] has massive torque." 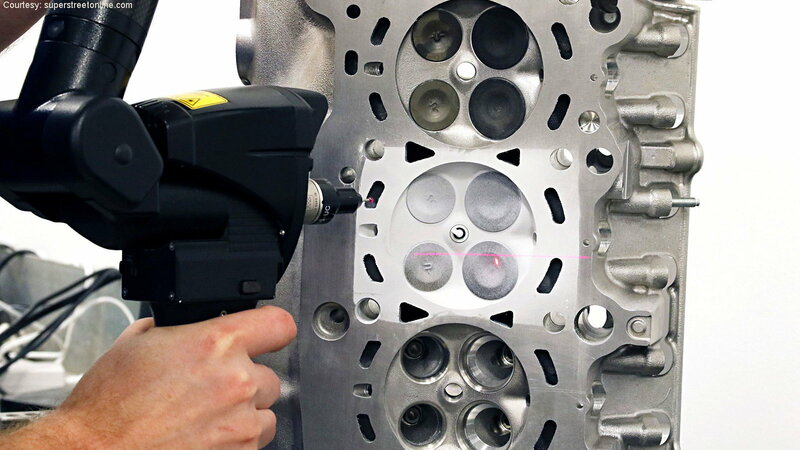 This is a biggie—there's only one exhaust port servicing all cylinders on the K20C1. In line with an industry-wide trend, the new engine features a "headifold" design that casts the exhaust runners into the head, exiting via a single port. With the exhaust cooled by the head's water jacket, more control can be had over temperatures, which is useful for reduced emissions. The single port also eases turbo plumbing chores. Wilson says the K20C1's turbo is capable of quite a bit more than it provides in stock form: "The turbo does have more left in it. We've been able to make about 425hp on it. I mean, stock airbox, exhaust, everything, we can make 400 lb.-ft. of torque and then some. The fuel system becomes the limiting factor." 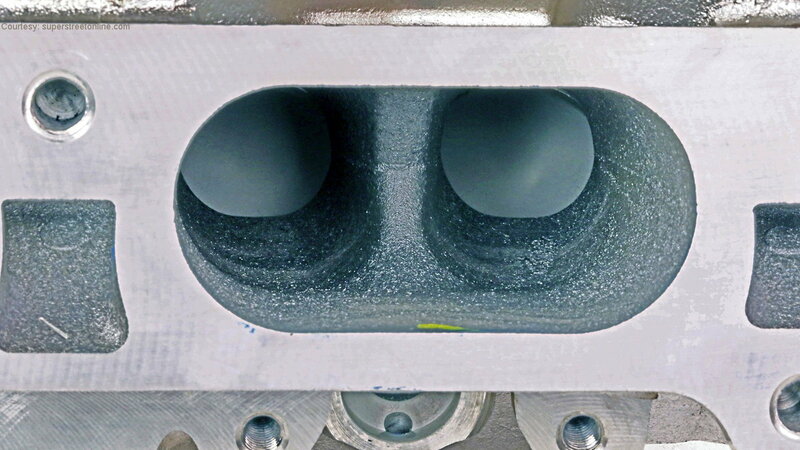 One possible downside of locating long exhaust runners inside the head casting is that increased demand will be placed on the engine's cooling system—an important factor for tuners. As with any new design, the true test is the track. "Five years from now, we'll know a lot more about it, "Wilson said. "It's a very different approach for Honda." Honda tuners everywhere have their fingers crossed.